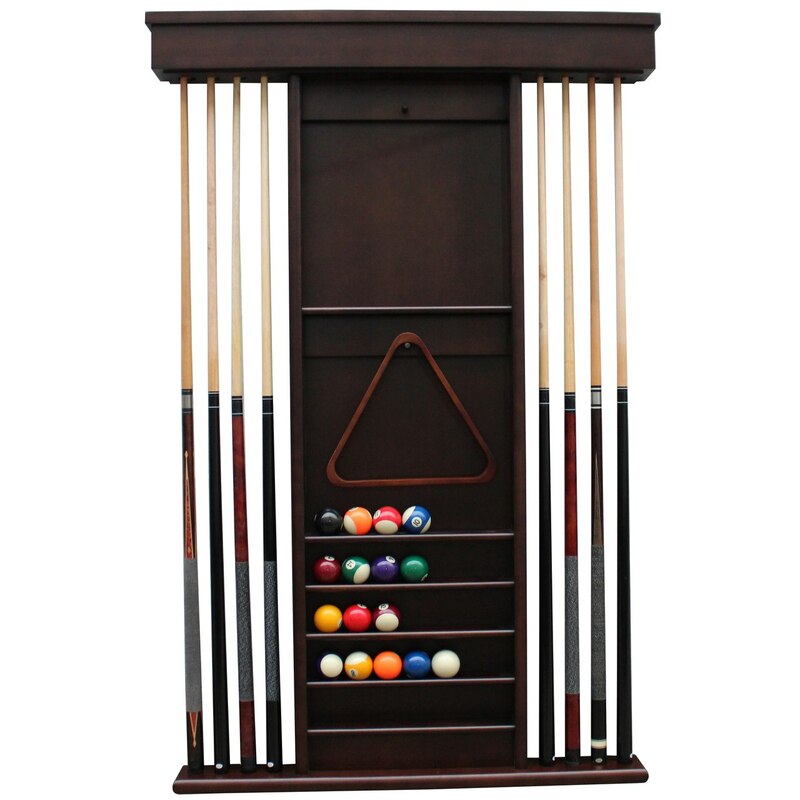 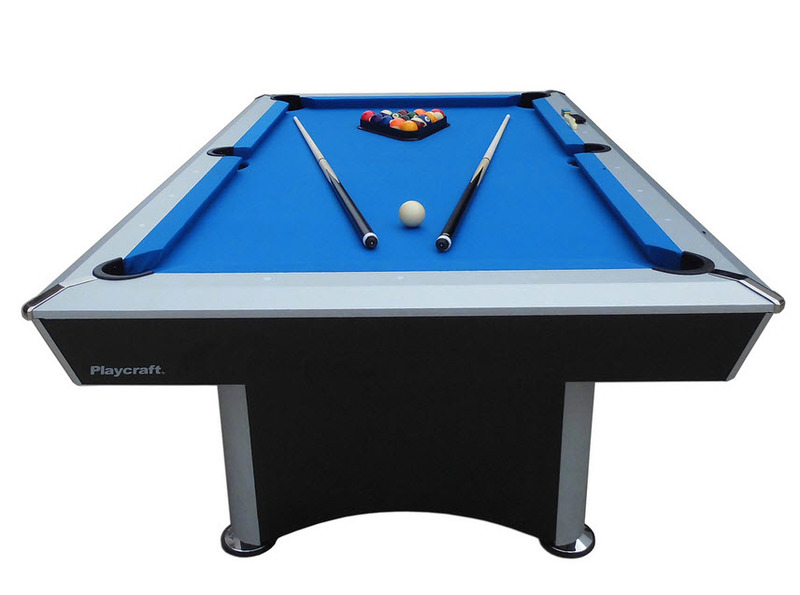 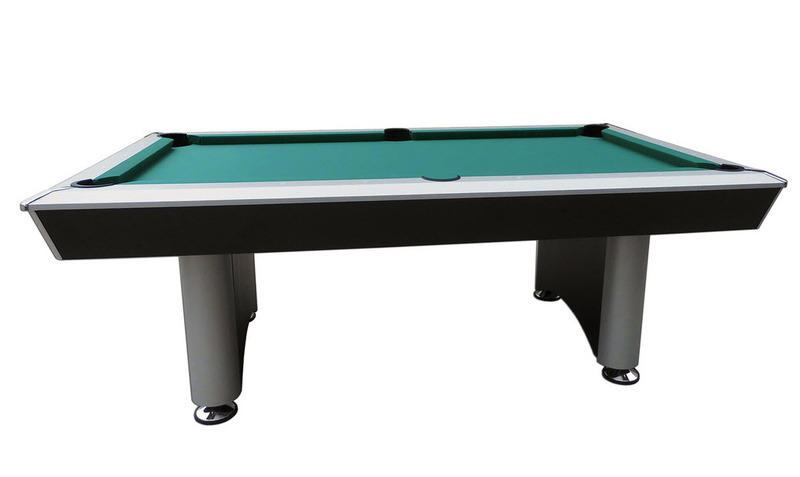 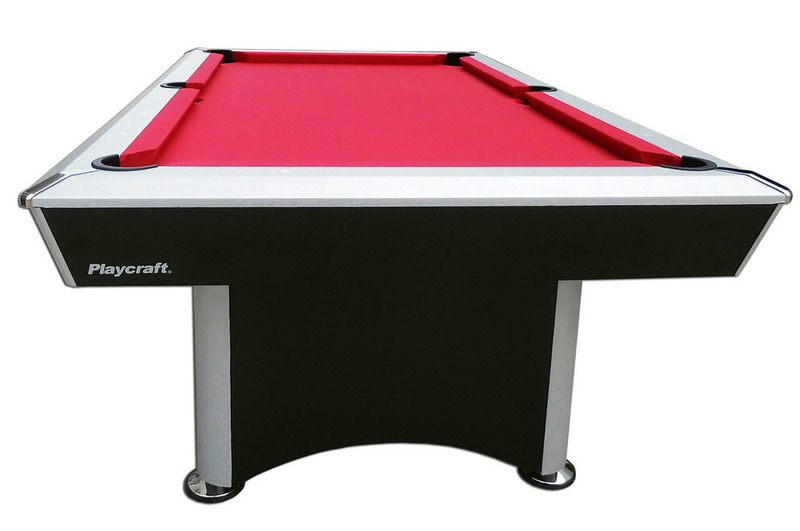 Dimensions 84"L ×48.5"W × 31"
Playcraft introduces the newest pool table to their EZ build series. 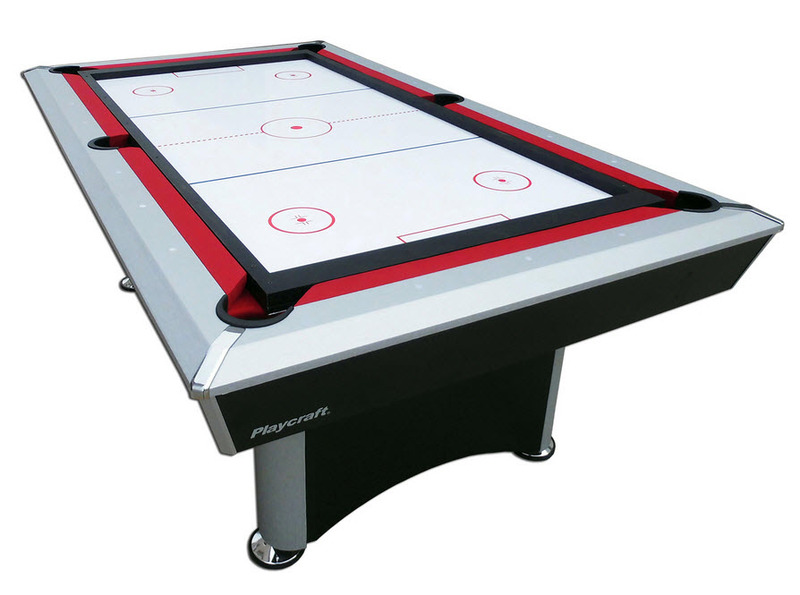 Select the 2-in-1 Ping Pong/Push Hockey option to maximize your table and meet all your game playing needs! 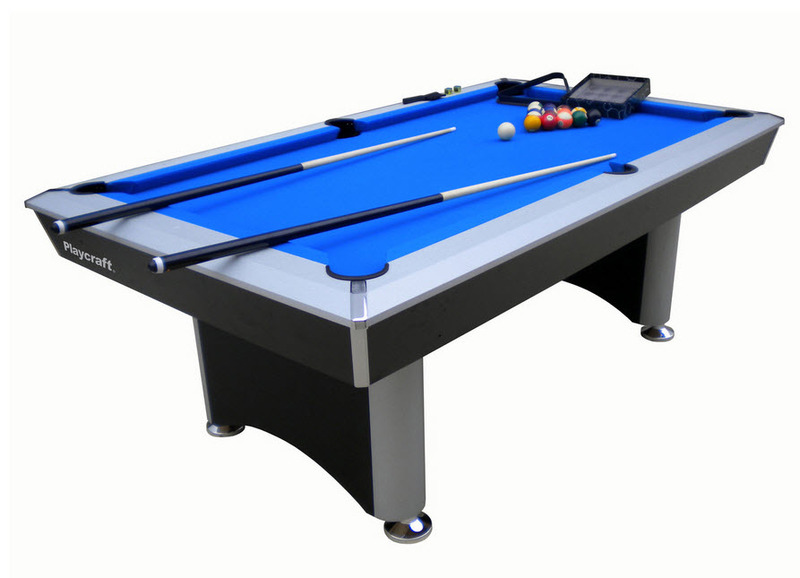 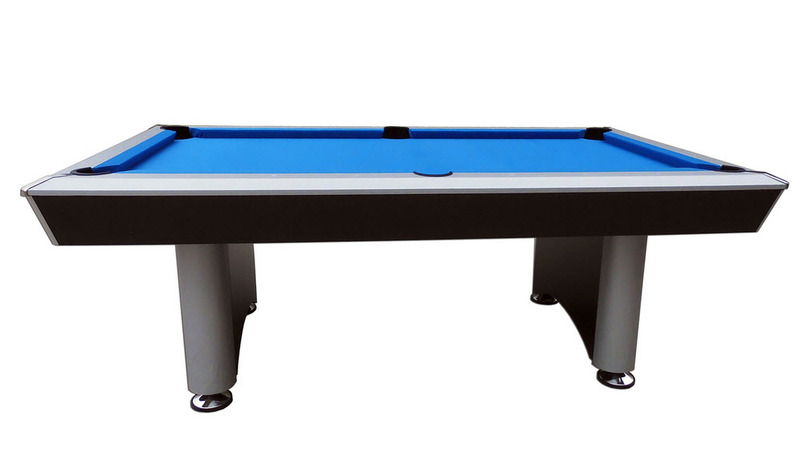 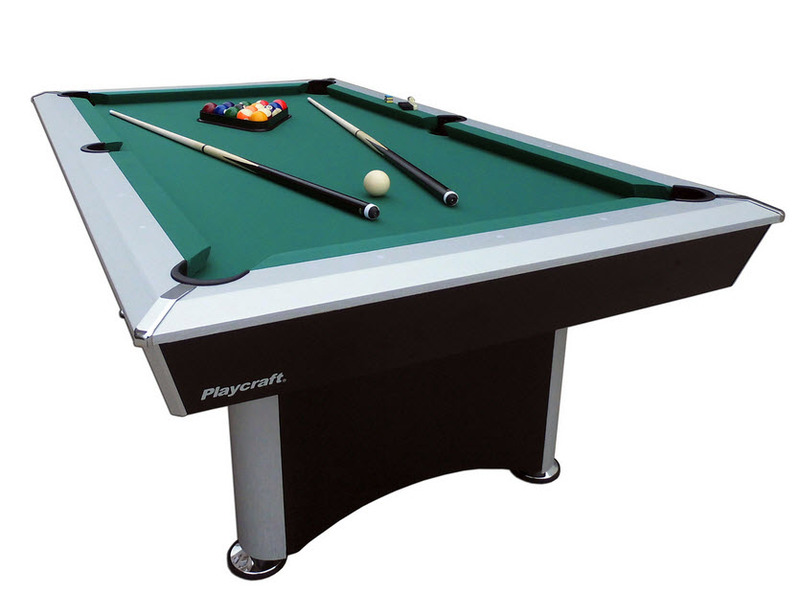 Available in electric blue, red or traditional green, this table sets up in no time for immediately play. 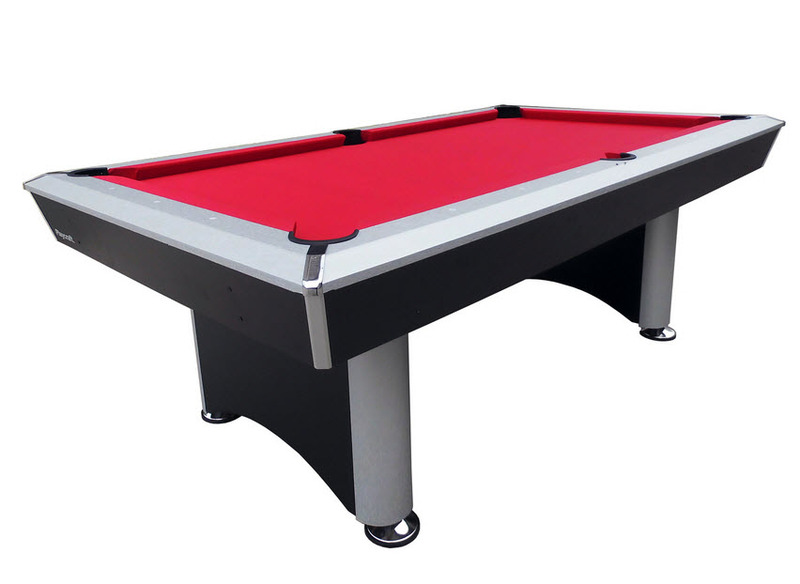 The table arrives fully clothed with durable Taclon. 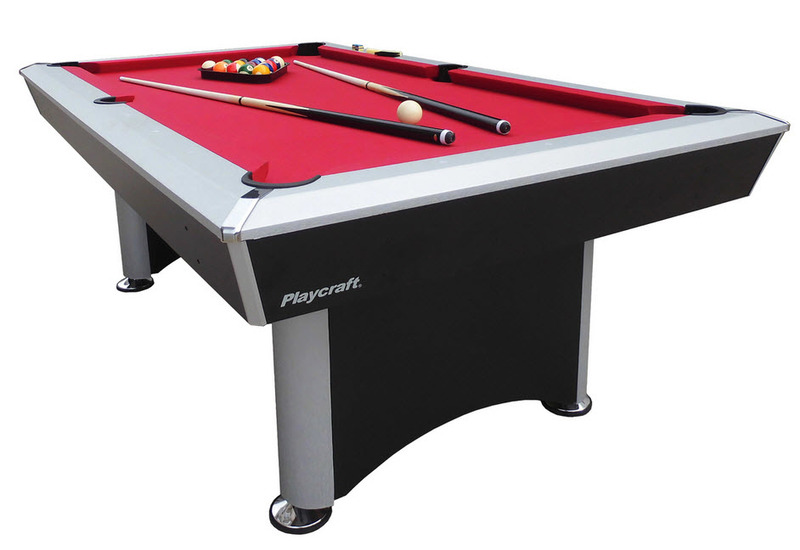 Just install the legs and play. 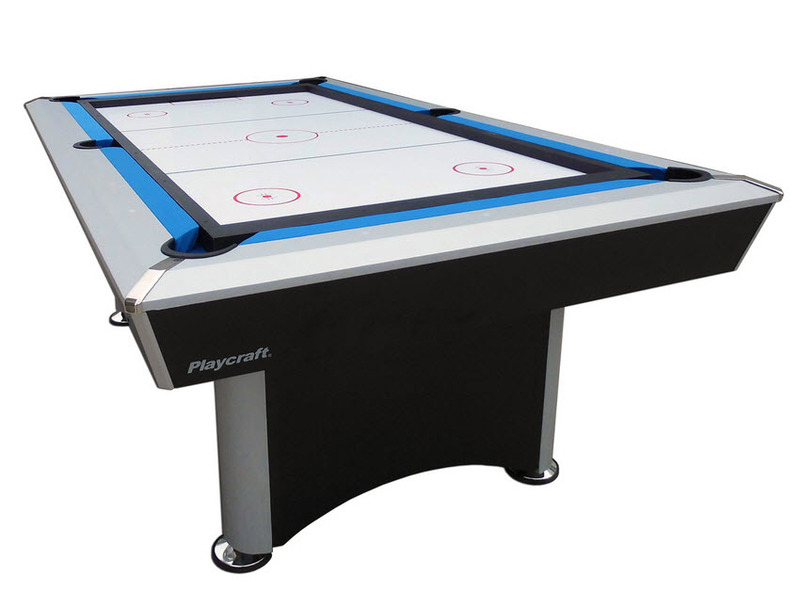 Playfield is constructed of resin infused HDF with a pvc coating. 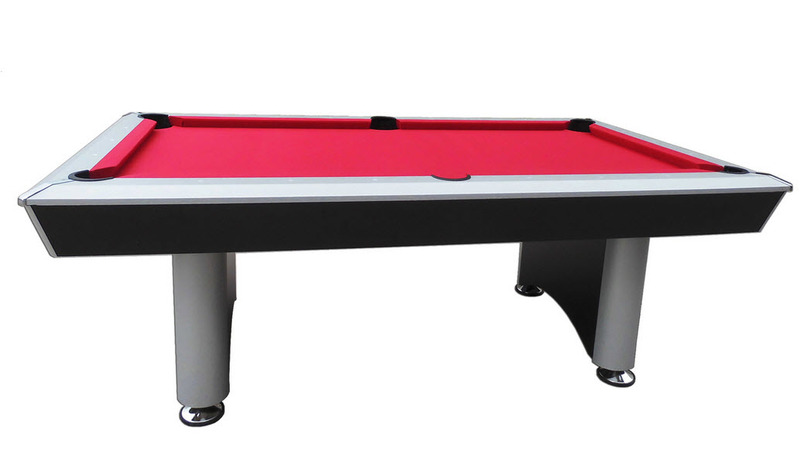 Matched with k65 rails for a genuine billiards experience. 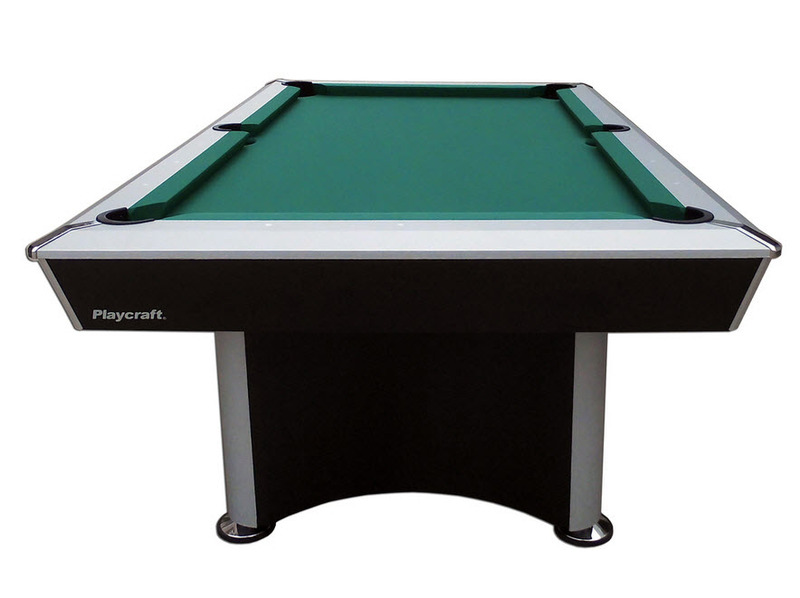 I was wondering if this product can be used outdoors. 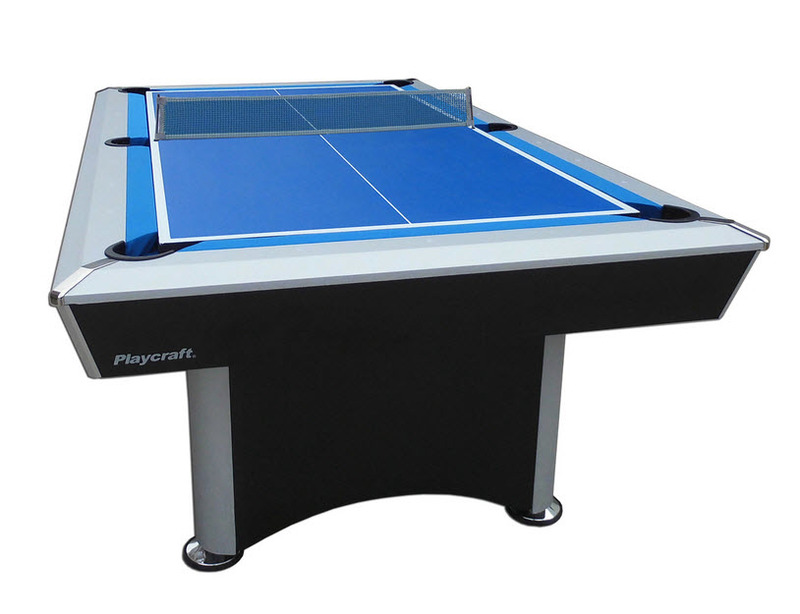 The room I have is outdoors I I wanted a table that can have ping pong and air hockey as well. 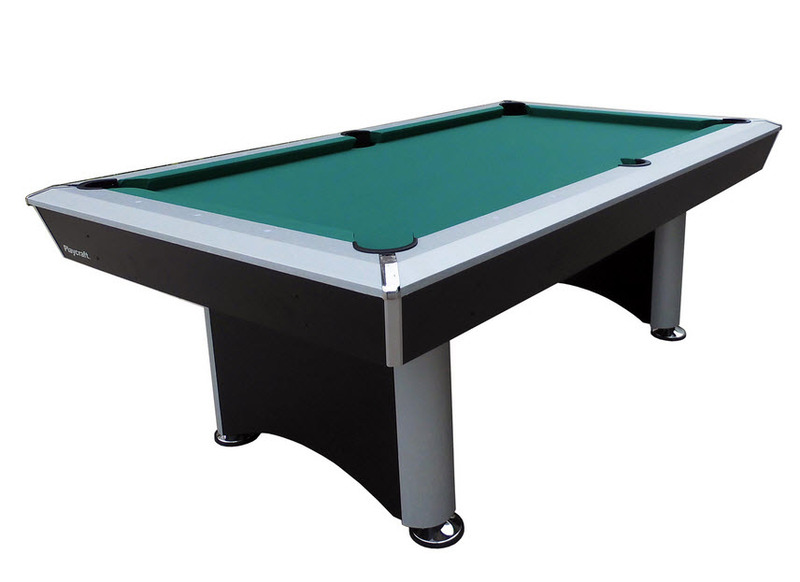 This table is not rated for outdoor use, it will not be able to be exposed to the elements. 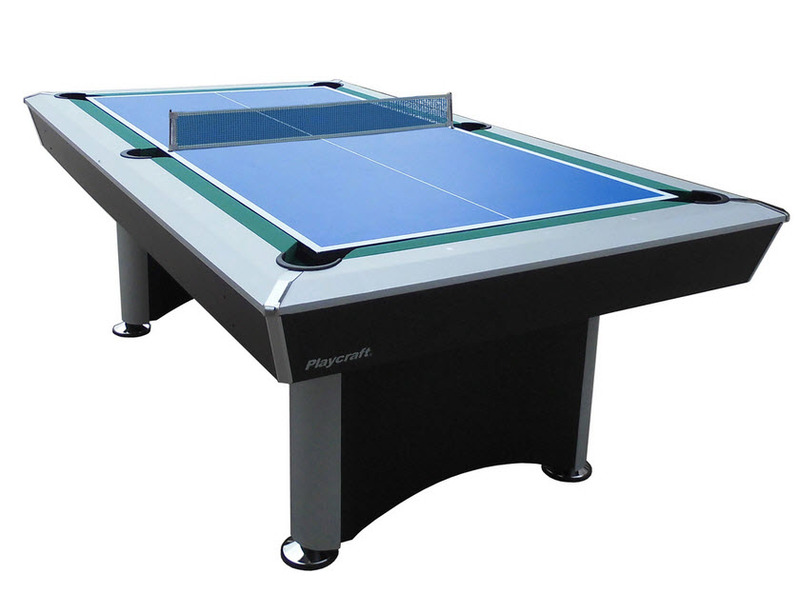 Unfortunately there are no other "combo" game tables that can be used outdoors that feature both ping pong and air hockey. 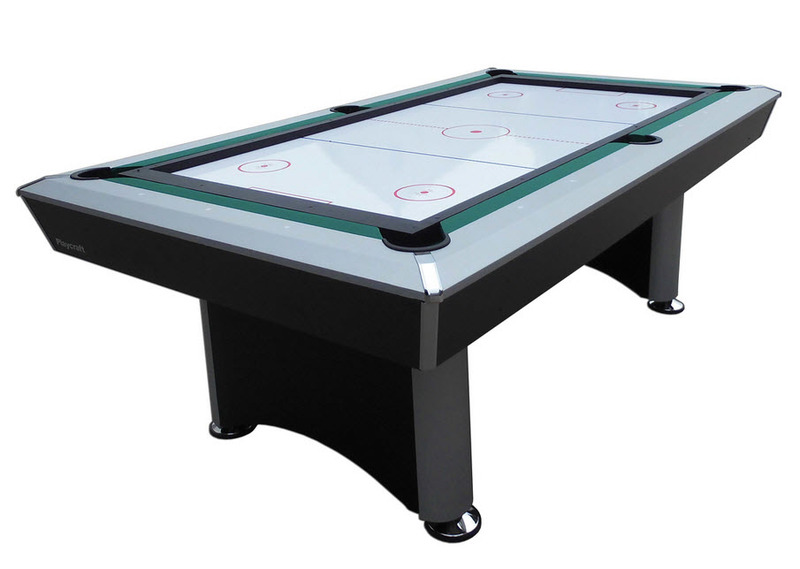 Our air hockey tables cannot be utilized outside due to the electric fan and other electric components contained within the table.